When someone we care about is hurting we often want to reach out with a gesture that lets them know we get it. We want to make sure to offer something that makes things just a little easier. Flowers are pretty but there are times when more practical gifts are needed, maybe to ease the rigors of chemo treatments or to help harried new parents get through the night. We’ve partnered with Amazon to create collections of gift ideas specially chosen for these unique experiences, beginning with ideas for someone undergoing chemotherapy. Our plan is to continue to add to the ideas, as well as to expand the list of collections. Next up: gifts for new parents. Please take a few minutes to look at our first collection. Let us know in the comments if you have ideas to add. And if you have a request for a new collection, let us know that too. 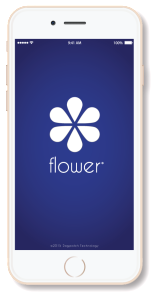 When you make a purchase through the FlowerApp Store, you’ll also be helping Flower since Amazon will share a portion of the purchase price with us. From that, we’ll be donating a percentage to charity. More on that in another post.